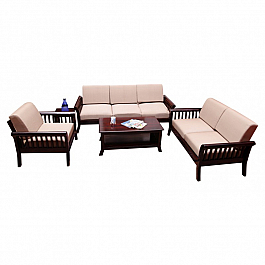 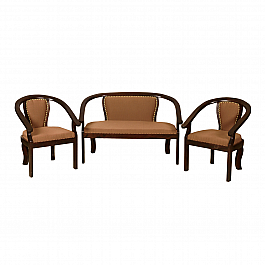 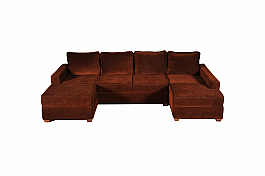 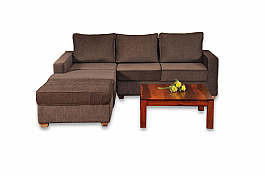 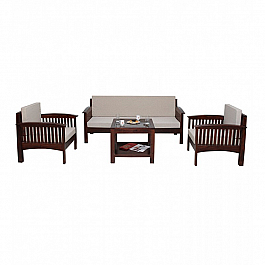 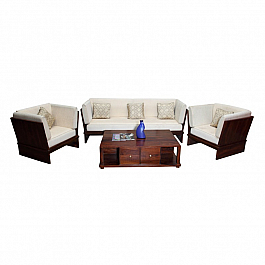 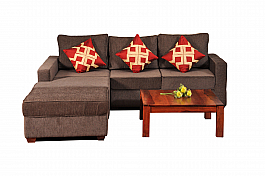 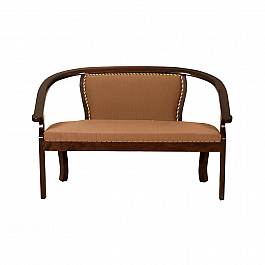 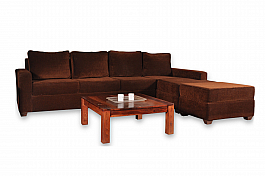 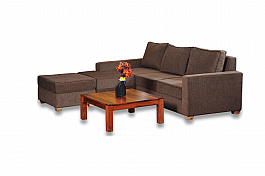 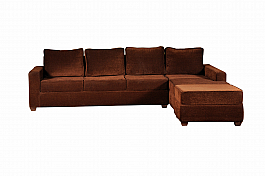 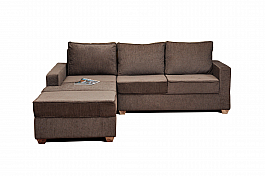 An aura of class and elegance exudes from this stylish 6 seater sofa. 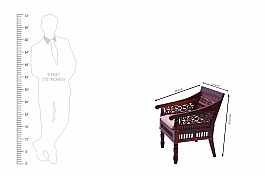 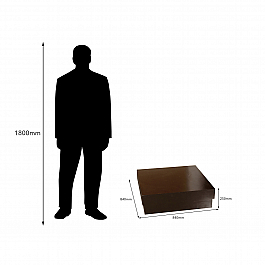 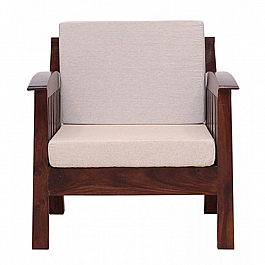 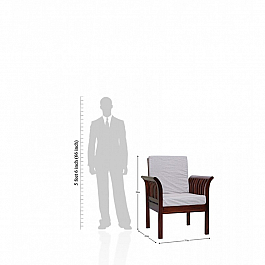 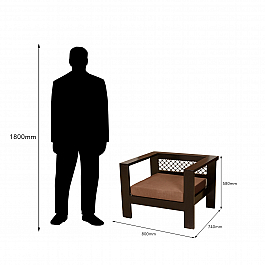 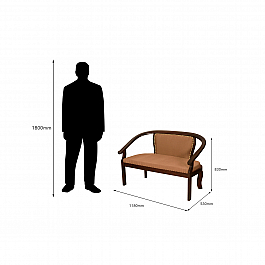 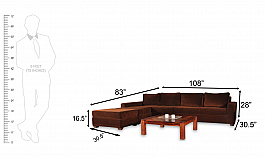 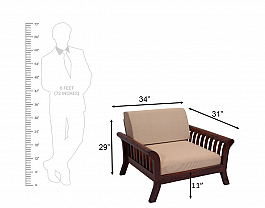 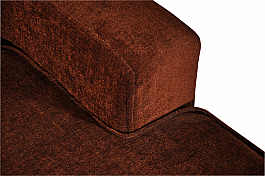 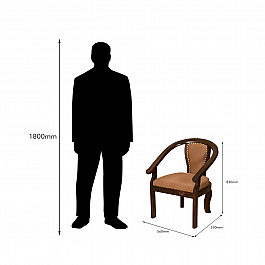 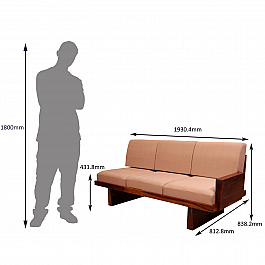 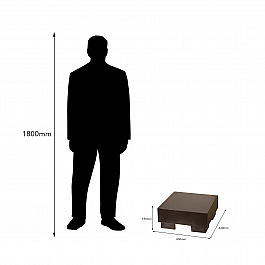 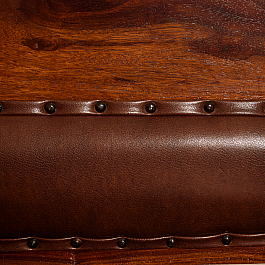 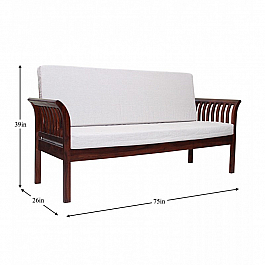 This sofa offers a back rest and arm rest, which gives maximum comfort. 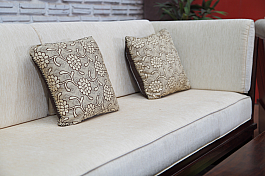 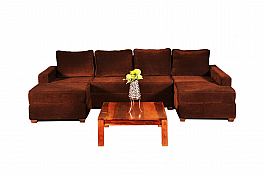 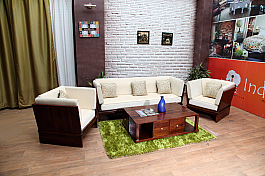 The classy design of this sofa will surely grab anyone's attention and will also go with any room decor. 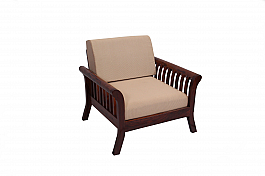 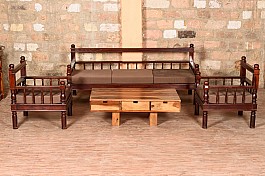 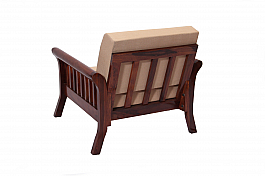 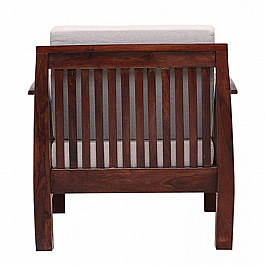 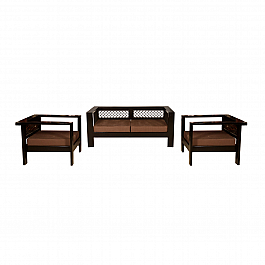 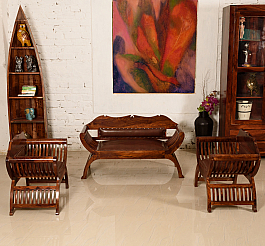 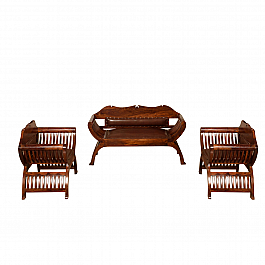 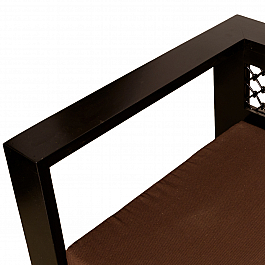 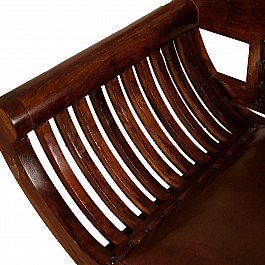 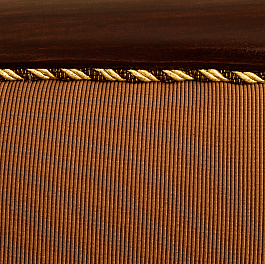 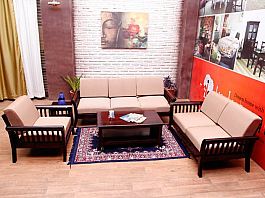 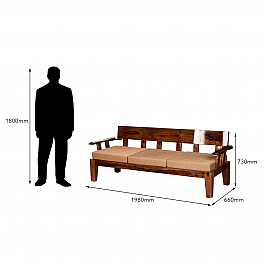 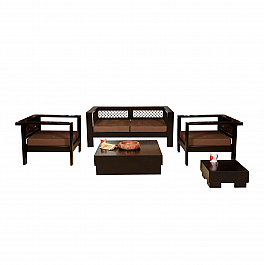 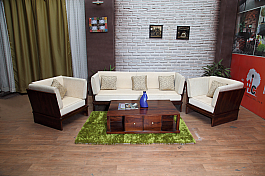 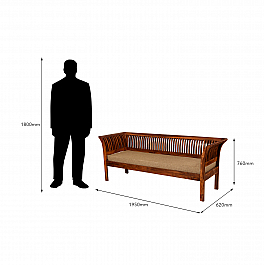 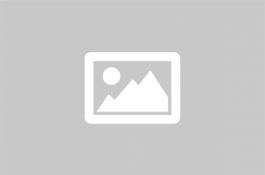 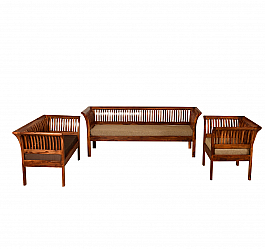 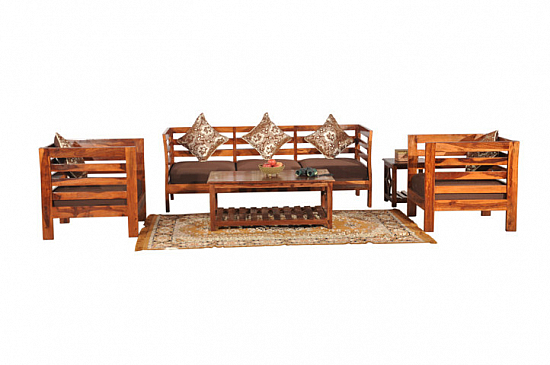 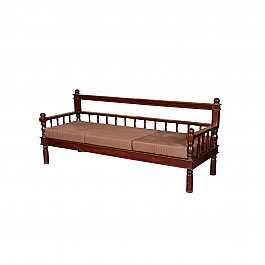 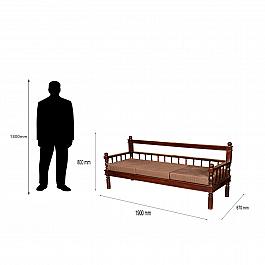 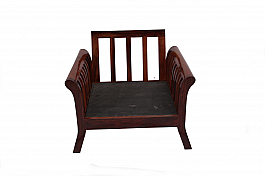 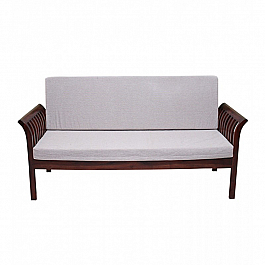 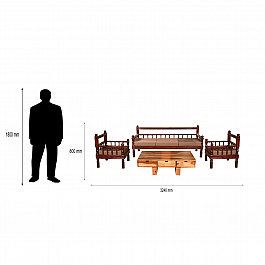 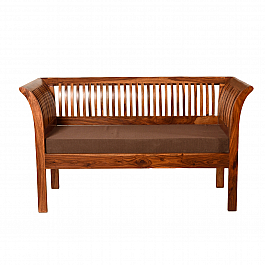 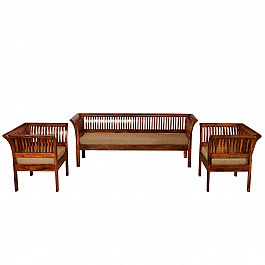 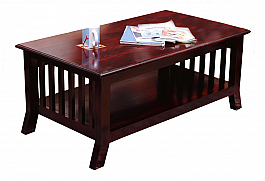 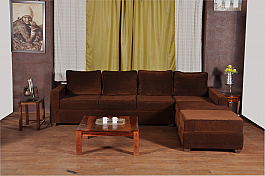 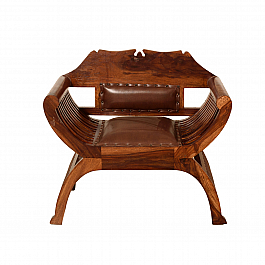 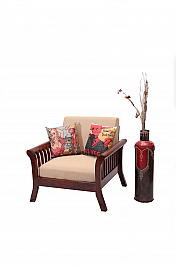 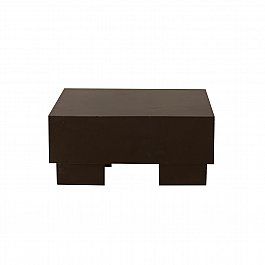 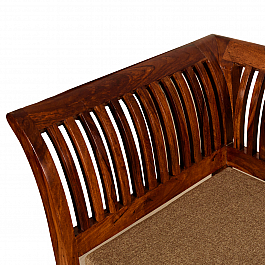 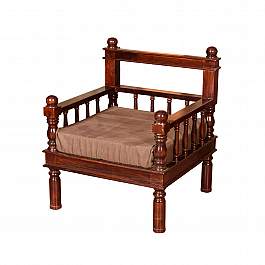 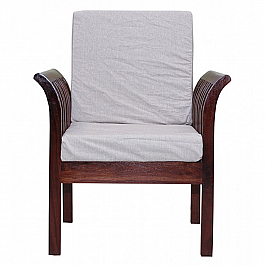 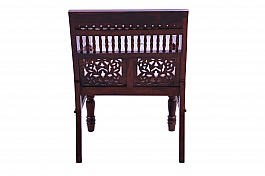 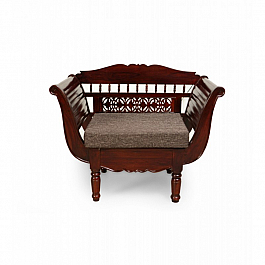 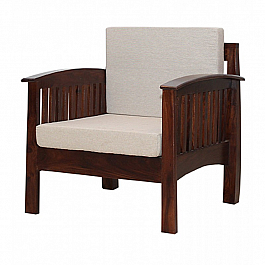 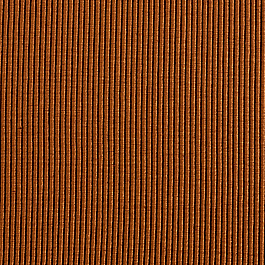 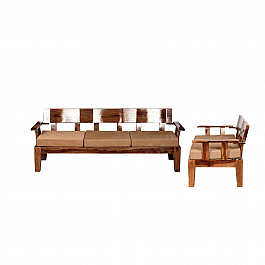 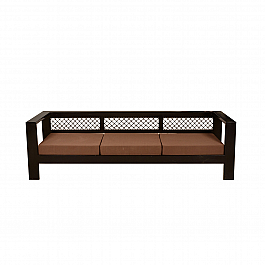 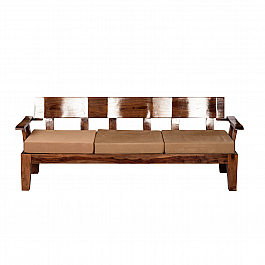 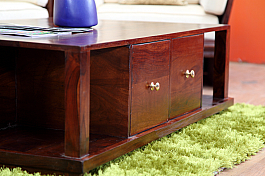 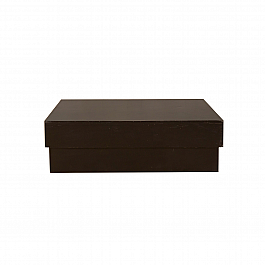 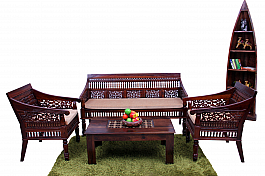 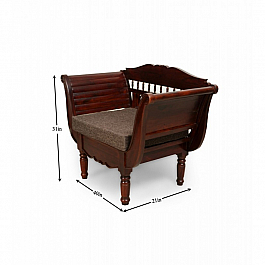 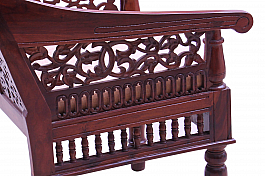 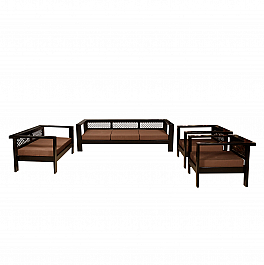 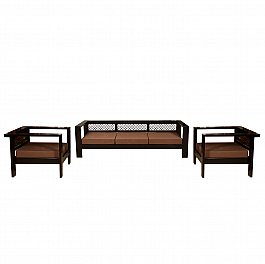 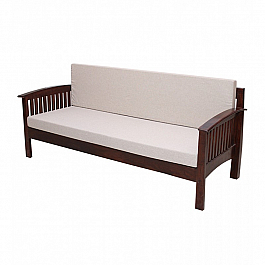 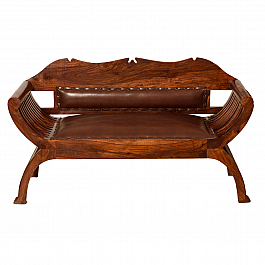 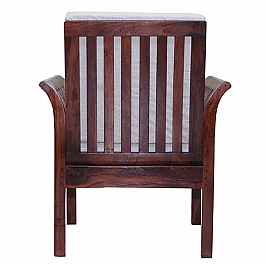 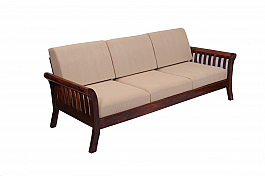 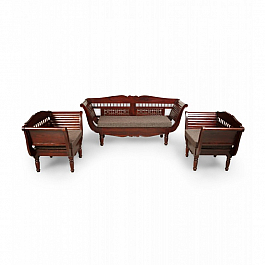 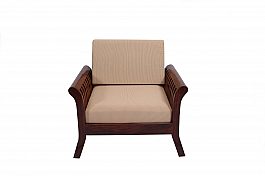 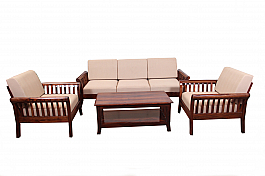 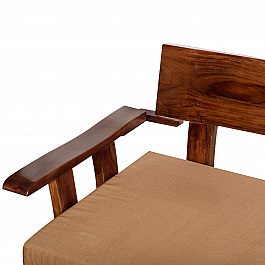 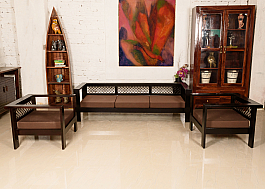 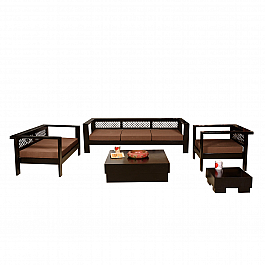 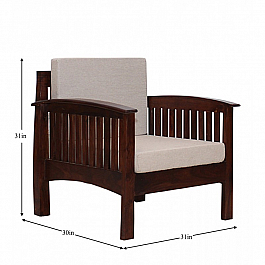 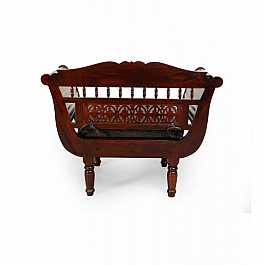 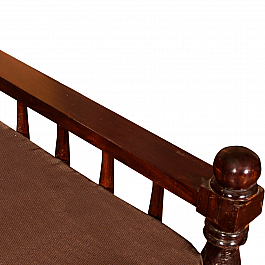 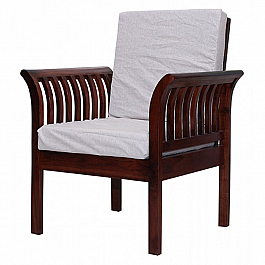 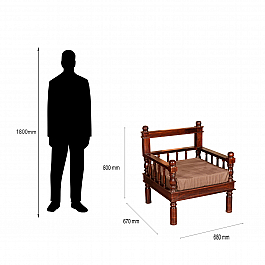 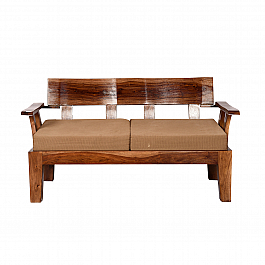 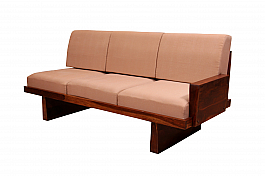 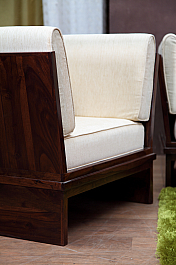 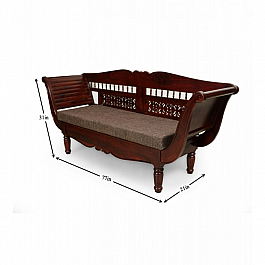 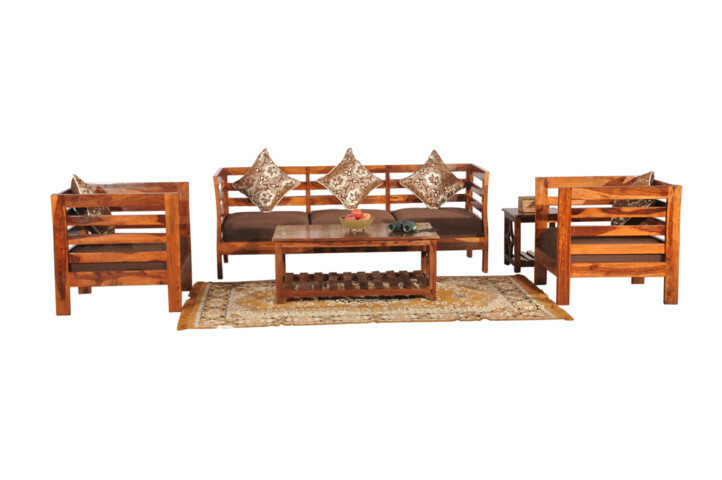 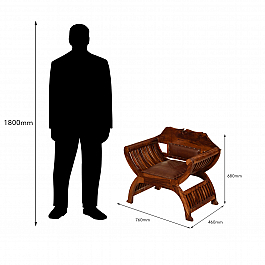 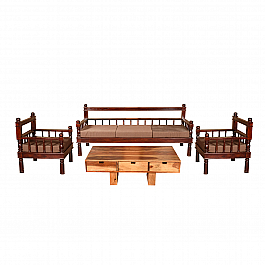 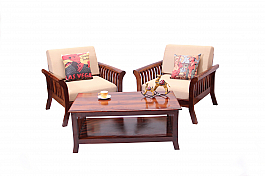 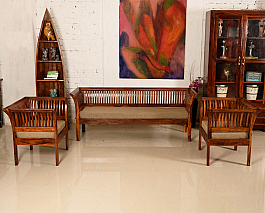 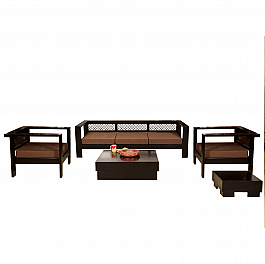 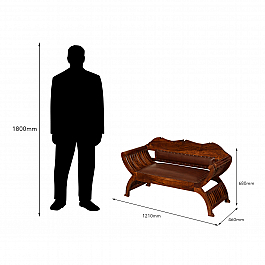 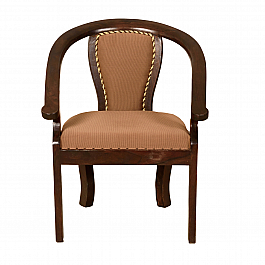 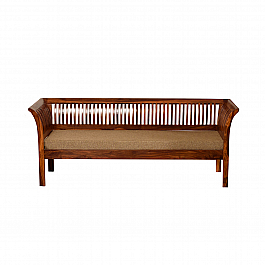 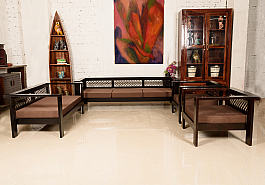 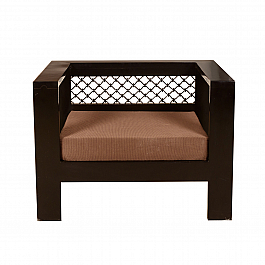 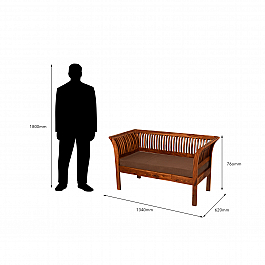 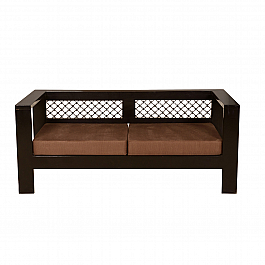 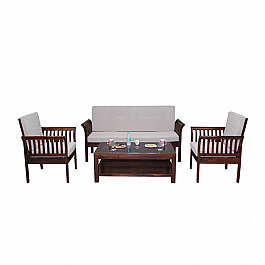 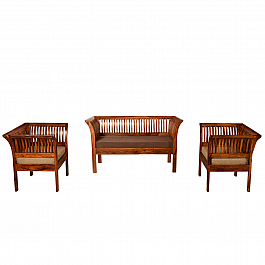 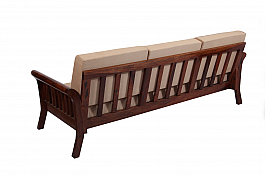 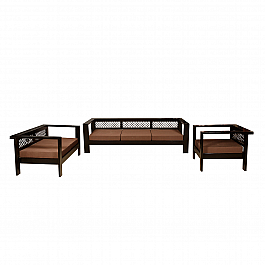 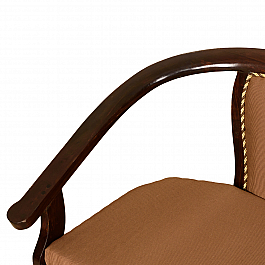 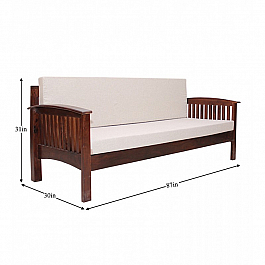 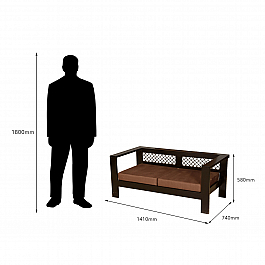 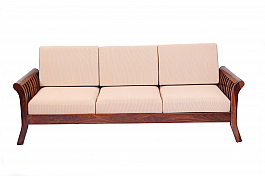 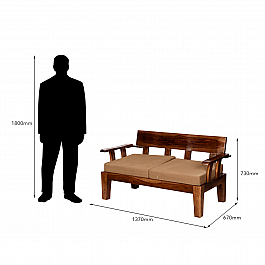 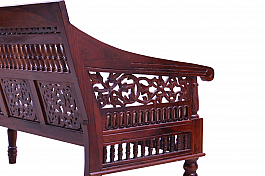 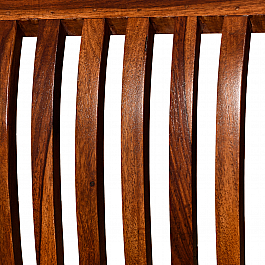 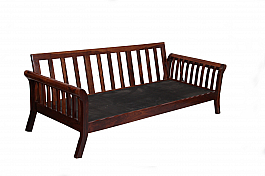 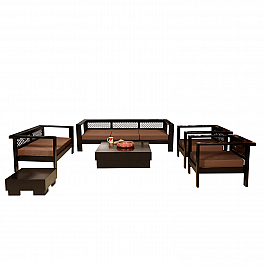 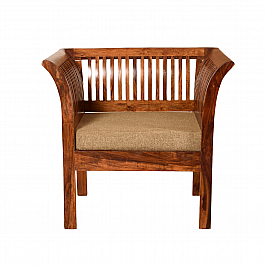 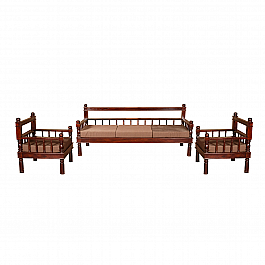 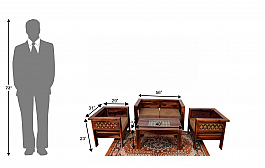 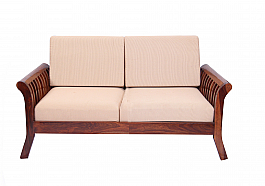 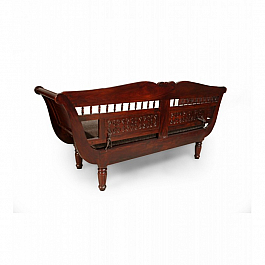 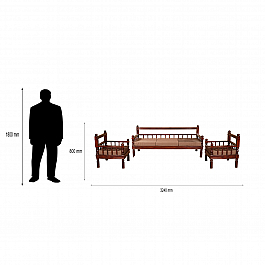 The frame of this sofa is constructed from premium qualitySheesham Wood, making it high in quality, strong and durable. 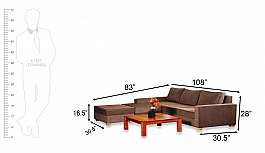 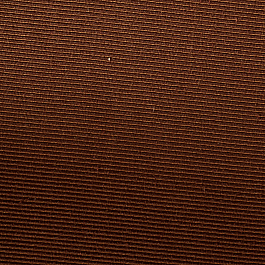 27" x 28" x 28"
35"L x 24" x 16"